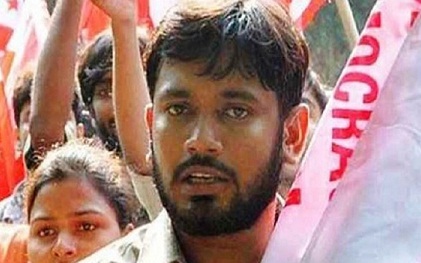 In a big relief to Jawaharlal Nehru University (JNU) students' union president Kanhaiya Kumar, the court granted him bail in the sedition case. The Delhi High Court ordered that Kumar be released on bail. The six months' interim bail has been granted and Kanhaiya has been asked to cooperate with the investigation in this period. Kanhaiya Kumar was arrested after TV channels aired video of speech and alleged that anti-national slogans were raised in JNU. He was arrested on February 12. On the basis of these reports and video clips, Delhi police registered a case of sedition. After Kanhaiya, Umar Khalid and some other JNU students were also arrested. Delhi commissioner of police BS Bassi made several flip-flops over Kanhaiya's role. The police insisted that they had evidence against Kanhaiya. It was alleged that he raised anti-national slogans though there was no video record. Later, police said that he had called the event and slogans were raised in his presence. But recently it was found that the video clips were doctored. The role of certain TV channels, especially, Zee News, Times Now, has come under scrutiny. There are demands from different quarters now to book the editors of these TV channels too. The Delhi High Court granted bail to Kanhaiya, asking him to furnish a personal bond of Rs 10,000. Umar Khalid, the other student, remains in jail.